Weathering and erosion, along with the gravity-driven effect called mass wasting, are the fundamental processes by which rock is broken down and removed, collectively called denudation. The most important agent in both weathering and erosion is water, in both its liquid and solid states. From slightly acidified groundwater gnawing at limestone to a huge, boiling river tearing at bedrock, water dismantles the continents even as they’re built up through deposition, volcanic and tectonic action. It’s important to distinguish between weathering and erosion, which are sometimes mistakenly transposed. Weathering is an action of rock-breaking or rock-rotting essentially in place; it doesn’t involve significant transport of the resulting fragments. Erosion refers to a larger-scale action in which rock is removed and transported. In mass wasting, meantime, gravity moves rock fragments down slopes by gravity; it’s commonly the intermediary stage between weathering and erosion. Water is intimately involved with some of the most widespread and important forms of weathering. The interplay between its liquid and solid forms accomplishes frost-wedging mechanical weathering: Water penetrates crevices and joints in rock, then freezes within them when temperatures drop. Because water expands when it transforms to solid ice, it pries the sides of the fracture farther apart. This, in turn, affords deeper access to the liquid water once the ice melts. This cycle continues relentlessly, broadening cracks and eventually shattering off plates and chunks of rock. A similar, though less important process -- salt wedging -- occurs in arid climates where water in rock fractures evaporates and leaves behind salt crystals that expand and exert pressure. Water is a primary medium of chemical weathering, in which rock is altered at its mineral level -- as through oxidation or carbonation, in which dissolved oxygen or carbon dioxide, respectively, in water interacts with and changes rockbound minerals. Water is by far the most important global agent of erosion. In its solid form, as glacial ice, it is certainly an impressive, bulldozing force, responsible for carving mountain peaks into sharp-toothed horns, knife-edged arête ridges and huge cirque basins while razing lowlands and scouring lakebeds. But moving water -- from ephemeral rivulets and boulder-clattering rivers to pounding ocean waves -- acts on a much larger collective scale, gullying slopes and scouring out canyons and channels while dismantling sandbars and carving seacliffs. A river’s action is intimately bound with weathering and mass wasting, as much of its erosive work is transporting away the products of those operations. Other agents and processes besides water can accomplish weathering and erosion. Exfoliation is a manifestation of weathering in which plates or slabs of rock slough off a parent dome or boulder, commonly observed in granite. Geologists aren’t entirely agreed as to what causes exfoliation -- chemical weathering via water is a possibility -- but changes in pressure or temperature as an intrusive mass of rock is exposed through erosion have been hypothesized. Biological weathering encompasses the influence of living organisms on rock-breaking. For example, lichens, those symbiotic associations of algae and fungi that commonly colonize bare stone, can leach out minerals from rock and weaken it, as well as grind away miniscule particles by expanding and contracting with wetting and drying. Wind can be a notable agent of erosion, abrading rock with airborne particles and removing ground layers of sand and silt. 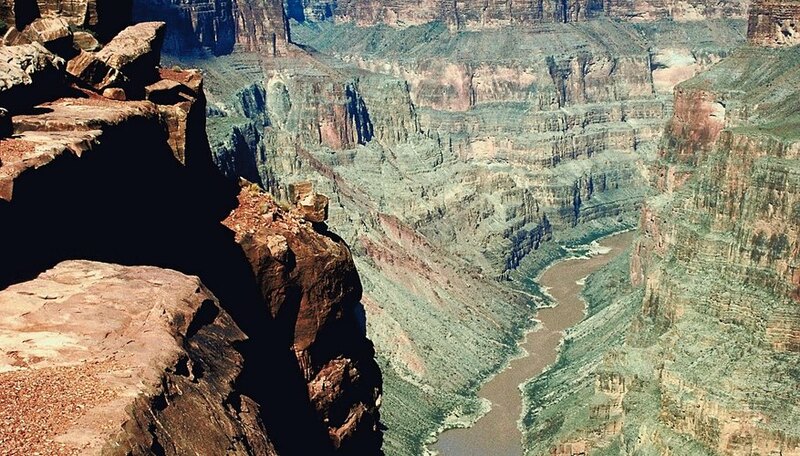 U.S. Geological Survey: Geology in the National Parks - What's the Difference Between Weathering and Erosion? Shaw, Ethan. "What Is the Most Effective Agent of Physical Weathering and Erosion?" Sciencing, https://sciencing.com/effective-agent-physical-weathering-erosion-19450.html. 25 April 2017.